This thread is where we will put our characters for the upcoming Eroge- Mirai Nikki Style RP. A.) Make a NEW account for your character using their name as your Username. C.) Once the RP starts, remember to ALWAYS BE IN CHARACTER even when responding to PMs from other characters. D.) Remember to HAVE FUN ya'll. Description:Switch in to a Blowgun and have ranged attacks for 3 turns. Description: Goes into hiding and deals *2 damage for the duration. 1. Must be in Critical Mode. 2. Must be in Blowgun Stance. 3. Must be in a grassy/ forest biome. For the stats, please refer to our PPCG System Excel File in our FB group. 1.Please, do not under any circumstances, reveal the type of character you control in the Character Template. You can leave hints but don't say it directly. 2.Remember to keep the skill and abilities fitting for your character and the presence of magic should be minimal/ non-existent to some characters so as to keep in line with the lore. 3.Remember to have 1 Innate and 3 Special Skills. A simple boy with an addiction to anything that makes the gears in his mind shift. Like puzzles, equations, programs, simulations and such. Some call him brilliant but he spends most of his time on things that only amuse him at the time. He tends to get bored easily with one thing so it's hard to fully grasp his attention. Most of the time, he starts imagining and simulating visual scenarios in his head. Physically weaker than average, he relies on his speed and resourcefulness...in running away. Description: Make shift hidden blade using broken watches, springs and a scalpel. Mostly using fists and feet. Description: Sora gains a bonus for his Roll Values when defending against an opponent. It doesn't work when he is attacking. Description: Sora slides 3 squares in any direction. Anyone caught within melee range is stunned. Description: Sora runs 3 squares in any direction. Anyone caught within the line is tripped and sent 3 spaces behind him from their point of origin. They also get tagged with a 'Kick Me" sign. Enemies tagged with a 'Kick Me' sign can attempt to remove the tag. This can be done by hitting Sora with a successful normal attack. Description: Sora summons a holographic image of him 2 squares from him. The hologram moves at the same time as him and can pass through obstacles. He can select a hologram and use up twice the AP Cost to switch places with it. Limit is 2 hologram + 2 for every tagged person. The holograms do nothing but normal attacks if an enemy is within reach. They can only attack tagged enemies. Description: Sora tags the opponent with a tracker and deals inital damage. The holograms are then given tangible form and pile up on the enemy. Deals bonus 500% (550) damage per hologram. The enemy is then snared by the piled up holograms for 2 turns. Holograms disappear after the snare is removed. The enemy 'Kick Me' tag is also removed. Short Biography: Akari grew up overseas and currently arrived in Clairesfield as a "foreign" student who suddenly found herself on the wrong side of the world. She's mostly culture shocked with how things worked and so she finds herself in many unnerving situation. However, her desire to have good recommendations and high positions in the student council prevents her from expressing her opinions about a lot of matters. Akari is a weak and frail girl, physically speaking. However, her mental capabilities proved to be a step above others allowing her to have access to some form of magic, though faint. She was described to be the "Perfect Woman" back in her place... too perfect. Hobbies: Akari prefers to spend her off times reading or writing novels and short stories. She has also taken a liking to studying although quite frankly, she doesn't really have to in order to pass and have good grades. At home however, she's likes to read her family's fates with the use of the Tarot Cards and is quite proud that she's the only one who can actually use it skillfully. Pet Peeves: She has a dislikes talking to people who doesn't make any sense, people who does not show up on time or never show up at all, people who can't be trusted with something so simple and most importantly, people who fails to groom themselves properly. Also, she absolutely hates rice so much. Weapon description: Akari's been pretty good with throwing cards around for no reason at all. Weapon description: Akari uses this as a catalyst for her support magics. Description: Akari is a smart and educated woman. She is a very quick-thinker and is reasonably good in making decisions. - Reduces MAX enemy offensive roll by: 1 for Normal Attacks, 2 for Specials and 4 for Ultimate. Description: Akari reads the Tarot Cards to decide her next course of action. - Has a 1 turn cool down. - Successfully dodge the next attacks thrown at her. - Can last indefinitely for as long as nobody is attacking her. Description: Using her Tarot Cards, she predicts where the unfortunate target will go. - Lowers enemy's MAX defense roll by 2. Description: Throws a card as hard as she can. - Displace an enemy by 1. Description: Akari uses her Tarot Cards in an attempt to draw only one of the 3 Arcanas that represent her. - Stored a total of 30 AP in one encounter. Short Biography: One of the teachers at the academy, though one of the few(if not the only) who is missing an arm and blind at the same time. The circumstances of how he lost both are a mystery, what isn't though is the seriousness he handles his profession even with his disabilities. Short Biography: A College OJT teacher from Tokyo University. Her mother was a famous model until she died of child birth and her father, an international businessman, left before she was born, this made her outlook on men to be somewhat negative. She is not above to using them for her own purposes. It would appear that she is trying to become a beter person in this school. Hobbies: Useless trivias, watching TV, playing video games, and going to her mother's grave. Pet Peeves: Men in general, asking too personal questions, being hit on because of her good looks and physique. Short Biography: Once an honorable candidate for the throne of New England, she has been dishonored after her male twin died. In order to clear up her name and regain her rightful place to be the Queen of New England, she managed her way to enroll to St. Catherine. Her informant gave her a clue about the place where the other candidate of the throne is hiding and so she thought of a plan on eliminating one of the candidates for the throne. Apprentice level of Fencing, her ability of finding and managing gold and oil mines is top-notch, truly a multi-talented and responsible lady. Doing jobs as quick as possible. Spacing out often caused by her stress and too much responsibilities that she has to carry out in her (average) chest. She's not fond of casual socialization added to her disrespectful and demoralizing words but reasonable to be with and has a passionate heart for her loyalists and people close to her heart. Despite of her perfect lineage she was rumored of being a witch or a shaman. Hobbies: Shopping soothes her soul. Tea parties bring delight to her. A dash of reading, cakes and coffee would make her day. Fencing would release her from her anger and listening to people could make her smile. Pet Peeve: Waking up from spacing out, leaving her behind, waiting for hours, perverts. Short Biography: Suzume's parents were poor and came from the countryside. They decided to gamble and go to the city to make it big. It wasn't easy. They faced years of suffering and betrayal. This hardened them, the both of them. Until one day, their hard work paid off and they became a well-off couple. Suzume grew up in a comfortable home. She was the sole daughter of the couple, born during the menopausal age of her mother. Because both of her parents were always at work, Suzume would spend her time visualizing over a lot of stuff. One day, a book she was reading, a book on astronomy, of the vast reaches of space, mesmerized her. As fate would have it, one of her mother's friends was an astronomer, who then introduced her to the city observatory. Suzume became a regular visitor. Her intellect and skills of analysis lead her to become one of the youngest astronomers in history, accomplishing many feats. The most notable of which is proving the existence of dark energy, solidfying the Hubble's Law on the expansion of the universe. Nowadays, her interest in Astronomy has been waning. Her discovery of voice acting introduced her to a new world, reminding her of the fascination she had for astronomy when she was still a child. Despite all her accomplishments, she is still currently on education. Her parents want nothing less for their only child to graduate. Fortunately, Suzume was sent an invite to one of the most prestigious schools in the world - St. Catherine's Academy of the Arts and Sciences. - Over the years, her parents taught her that hard work pays off and that trust is something earned, not automatically gained. - Her ability to learn many things quickly and almost instantaneously is lesser known fact : Suzume's ability to grasp concepts and apply them into practice is uncanny. This is, perhaps, due to her near perfect photographic ability, combined with her unmatched skills of analysis made her into the prodigy today. Short Biography: Minamoto Nimue or Nimu-chan for short, the daughter of two Japanese scientists who migrated to Hesvalle. By merit of natural birth, she is a citizen of Hesvalle, but was not cut out to the government's standards. This however, did not hinder her from being note-worthy as she wasn't exactly dumb. With above average knowledge in robotics, taught to her at a young age by her parents, she was able to learn astoundingly well regarding the proposed gigantic mecha weapon her parents were assigned to create. The government, impressed by her impressively high affinity and love of robots decided to train her to pilot the motion controlled machine. However, she was deficient in body strength of which she compensated for with great agility and flexibility. Outside her state bestowed duty as part of the defense forces, she is a shy middleschool girl with a penchant for obsessing with any thing related to robots. This naturally inclined her towards the path of a mecha otaku, unusual for her gender yes and she tries to hide this aspect of her. Personality-wise she is shy, kind and one with a great sense of justice. Weapon description: The basic human pair. Weapon description: A six-shooter modified to fire only 5 rounds. It is a blank round weapon capable of only dealing blunt trauma. 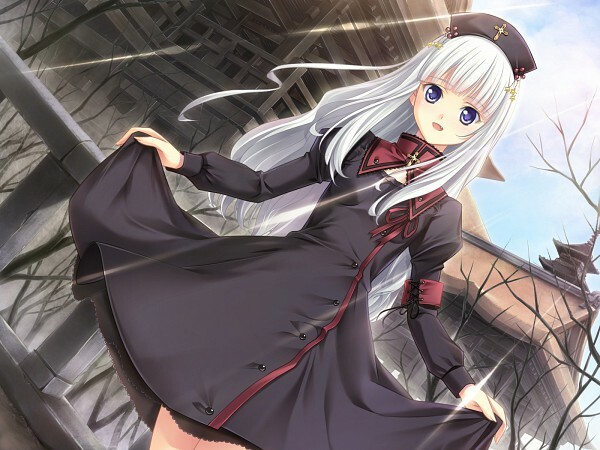 Description: Nimue is trained in the russian martial art of Systema. This gives her the following abilities in melee combat. Normal attacks done in melee range perform melee damage instead of ranged damage. Damage rating per square is 100/80/85/90/95/100/90/80/70% DAM. Deal 50% of her DAM (15) as unmitigatable damage when performing Normal/Special defenses and evasions simultaneously, preventing enemy defense rolls against said counters. Description: Nimue performs a raging combo improved by momentum. Landing Angled Strike (1st use) will begin a resultant roll counter for Combo Finish. Each normal attack landed when the resultant roll counter begins would add a +1 to Combo Finish's resultant roll. Resultant roll counter is set to 0 after the end of her turn and is not carried over. Combo Finish performed or not. Description: Strike vital places to disable enemies. Each attack slows down enemy movement by 1 for their next turn. Enemies that she damages for 5 consecutive times in a turn are stunned for 1 turn. Description: Nimue's will is strong enough to bounce back from most major predicaments. Gains +4 (100% APR) AP when afflicted by movement and turn debilitation. A dice roll would be run by the attacker and nimue when she takes damage during critical phase. Winning the roll would allow Nimue to continue battle. Description: Favorable battle conditions allows Nimue to repeat a combo without cost. Pre-activation Roll between Nimue and Defender [20 sided], combo done on that turn would be rolled again if Nimue wins the roll. All attacks done by second wind still applies their effects. As enemies are required to be stunned, there is no need to roll the combos again for a successful second wind. (Mandatory) Nimue must not have taken damage between her previous turn and the turn she would be using this ability. (Mandatory) Target is under the stun from Pressure Points. Nimue must have AP higher than 10. Nimue wins a bow to no one roll. Nimue gains AP from bow to no one. Nimue executes a successful Angled strike, 5 normal, Combo Finish routine. Livia Knoxx is a teenage idol dabbling in underground music. She started a year ago by performing in any bar or club that accepted her services. As she made her way around the cities, her stunning stage presence won over the audience and she began her climb to fame. Nowadays, she is often invited as a guest performer for various events but occasionally gives impromptu shows at random locations. Clairesfield drew her in as a prime place to complete her education while building a fanbase among the school-going youth. On Tuesday evenings, she takes lessons to improve her skills. Her favorite mode of transportation is by skates, hence she keeps them well maintained and wears them to classes almost every day. She has a jacket loving dubbed her "Hobo Jacket" which allows her to sleep anywhere. She's also physically fit and possess great cardiovascular strength from vocal training. Hobbies: Eating, skating, dressing up, putting on a good show. Pet Peeves: People not closing the door properly, people not using their utensils the right way, sore throats and sinuses.